Using our system is easy. First you'll need to "Register" and create an account. After registering, return to the home page where you can preview the items in the auction, or visit our gallery during business hours and preview in person. Once you have found an item you would like to bid on you have the option of placing a bid online or leaving a proxy bid at the gallery. If bidding online, simply browse to the auction item that you would like to bid on and click the "Bid" button. Bidding must be done in whole dollar increments and your bid must be at least higher then the current bid. Please see terms of sale for information relative to check out. Bid Increments. Bid increments are done in whole dollars. No need to add cents. Bidding is done similar to an eBay style. Your high bid is not reached unless there is someone bidding against you. Example: If you bid $50 on an item and there is no one else bidding against you, the item will open for a dollar. You will win the bid for a dollar if it closes with out any competing bids. If you bid $50 on an item and the highest competing bid is $40, you win the item for $41. If the Competing bidder bids $60 then the bid goes to the competitor for $51. Emails are sent to bidders to let them know there current status and if they are high bidder or out bid. There may be a reserve set on some items. In the event that there is a reserve, the reserve will be posted and bidding must start at one dollar higher than the reserve price. UBIDTOBUY and The Parkhill Auction Gallery reserve the right to extend or cancel any auction at anytime due to server problems, network problems or any other unforeseen issues that my arise in the coarse of doing business. All registered bidders and consignors agree to these terms and will not hold UBIDTOBUY or the Parkhill Auction Gallery liable for circumstances beyond our control. How is UBidToBuy different from Ebay? UBidToBuy allows you to physically preview the items at our gallery. On Ebay you'll have to trust that the item being sold is what the seller claims it is. 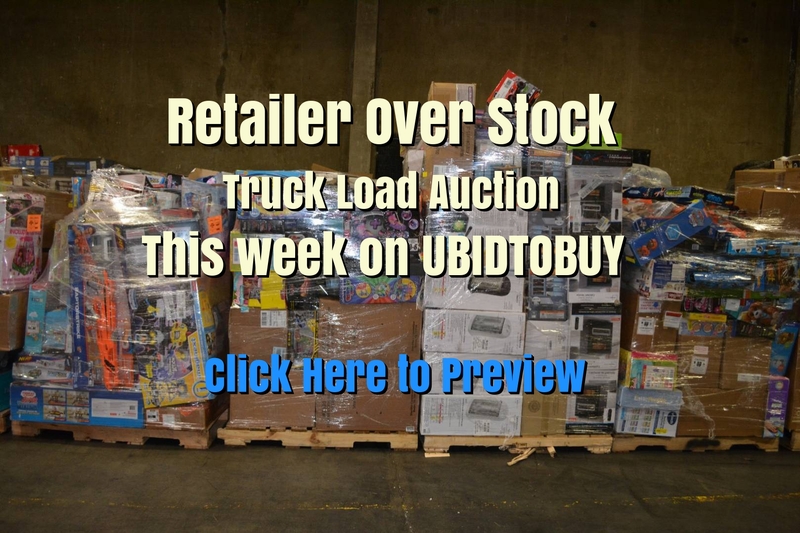 Every item in UBidToBuy's auctions will be present in our gallery for you to preview. Aside from that every item is given a condition rating by the gallery, not the seller. We use a 5-star rating system (1= poor condition up to 5= excellent condition).